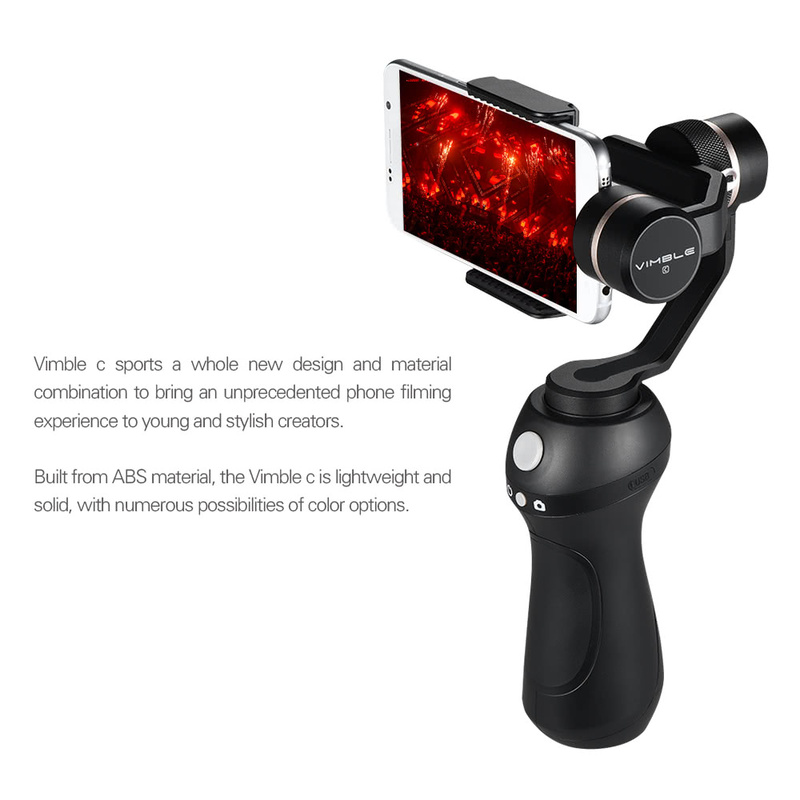 Vimble c sports a whole new design and material combination to bring an unprecedented phone filming experience to young and stylish creators. 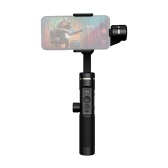 Built from ABS and aluminum alloy, the Vimble c is lightweight and solid. The Vimble c is built with advanced ergonomic philosophy to ensure extreme comfort and convenience of gripping and using. A curve from bottom to top fits perfectly with palms. It is sheer entertainment to grip the Vimble c in hand. Equipped with FeiyuTech's latest brushless motors. While ensuring high working precision, it reduces its weight drastically. With the evolving G-series algorithm, the Vimble c provides impressive stabilization performance along with the brave design. 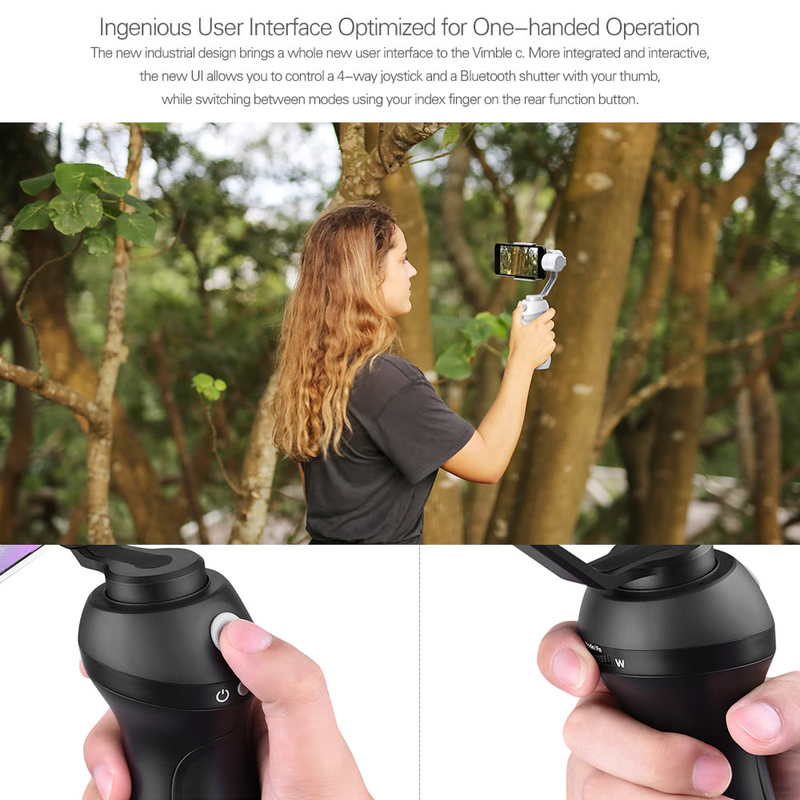 The new industrial design brings a whole new user interface to the Vimble c. More integrated and interactive, the new UI allows you to control a 4-way joystick and a BT shutter with your thumb, while switching between modes using your index finger on the rear function button. 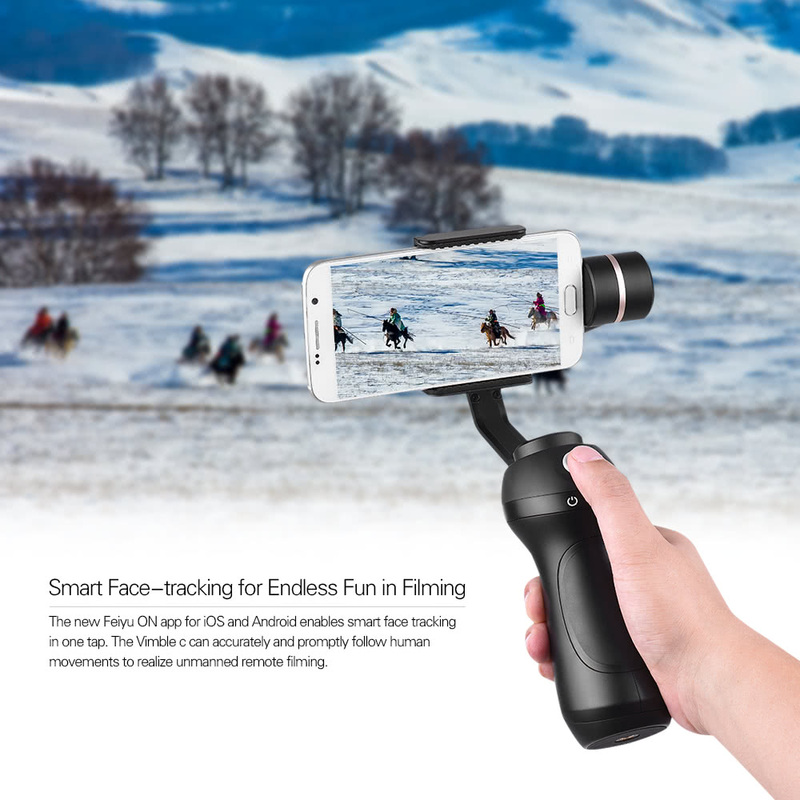 The new Feiyu ON app for iOS and for Android enables smart face tracking in one tap. 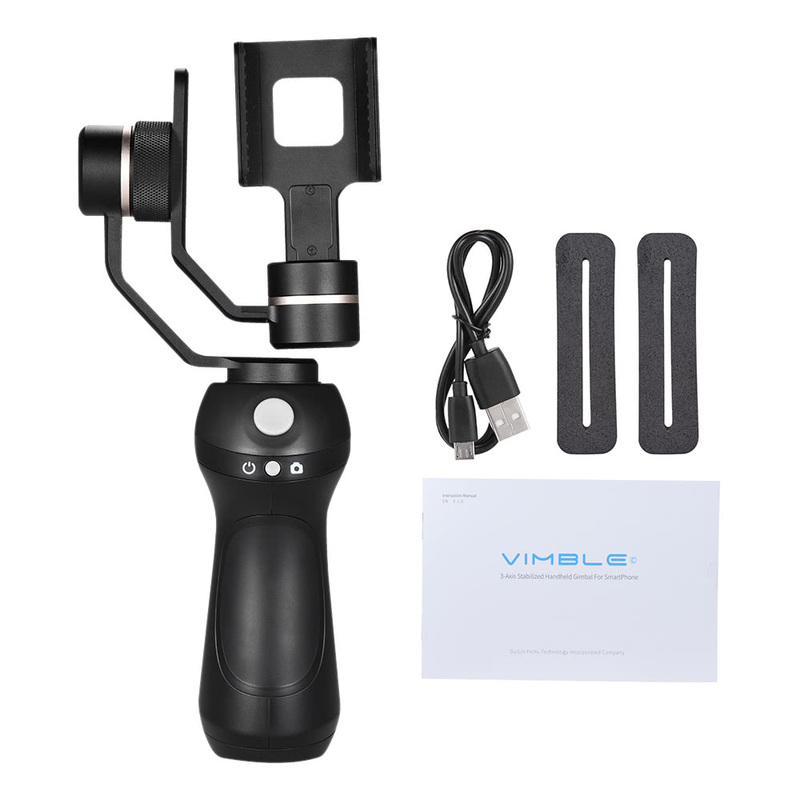 The Vimble c can accurately and promptly follow human movements to realize unmanned remote filming. Dynamic panorama via one button. 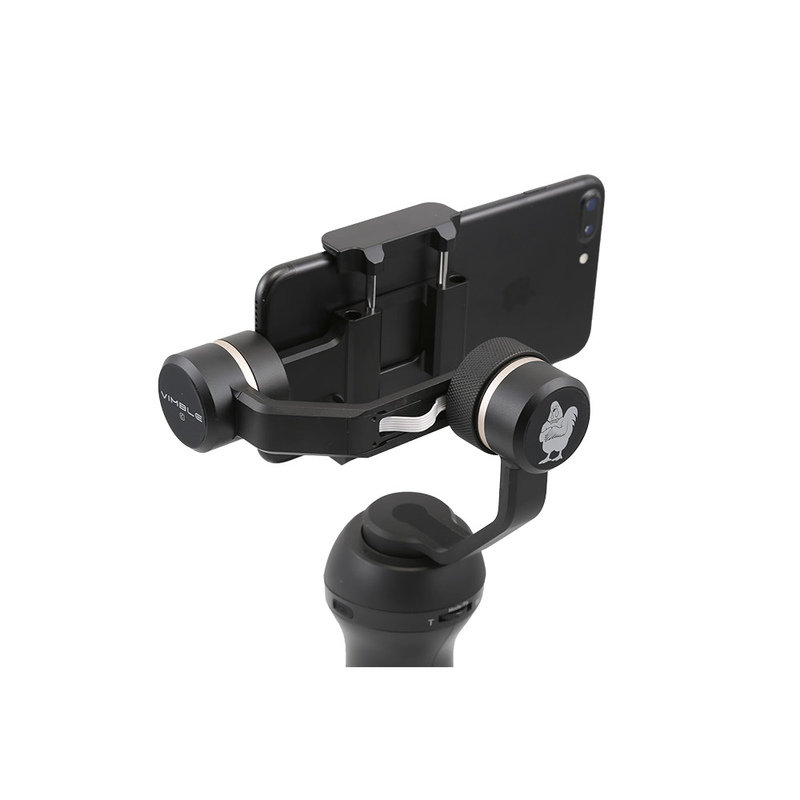 Using the Feiyu ON app, the Vimble c can evenly rotate horizontally by 360° and more. 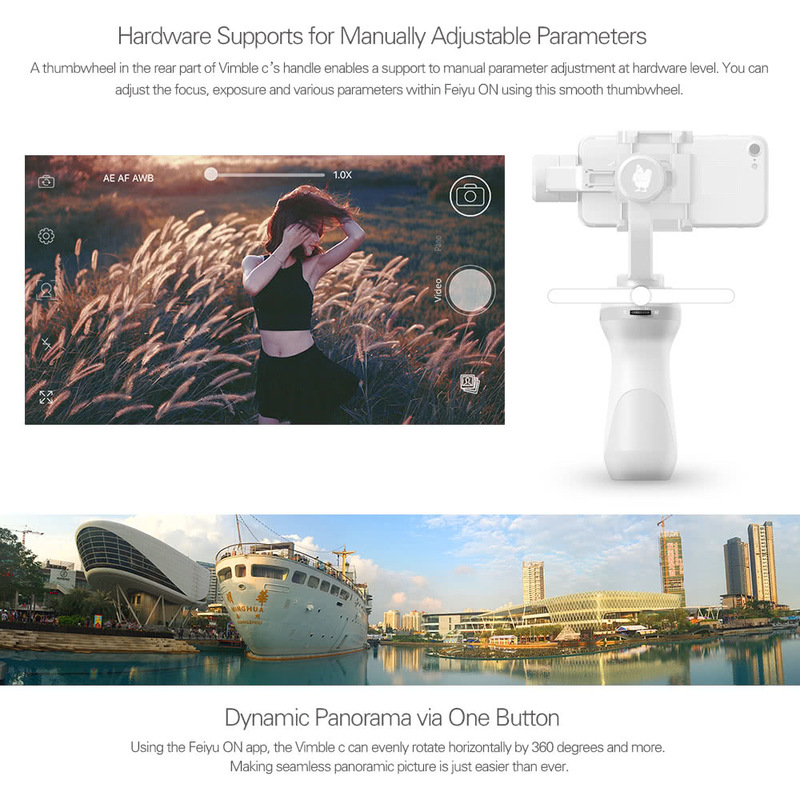 Making seamless panoramic picture is just easier than ever. The Vimble c pioneers an integrated li-ion battery to minimize its size and extend its runtime to the amazing 5 hours upon one charge. Moreover, you can charge the Vimble c directly through its Micro-USB port from external power sources like a power bank. The Vimble c offers a 1/4" screw port at the bottom. 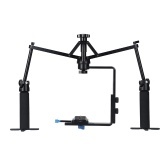 You can easily install a tripod or an extension bar to realize a variety of filming styles. 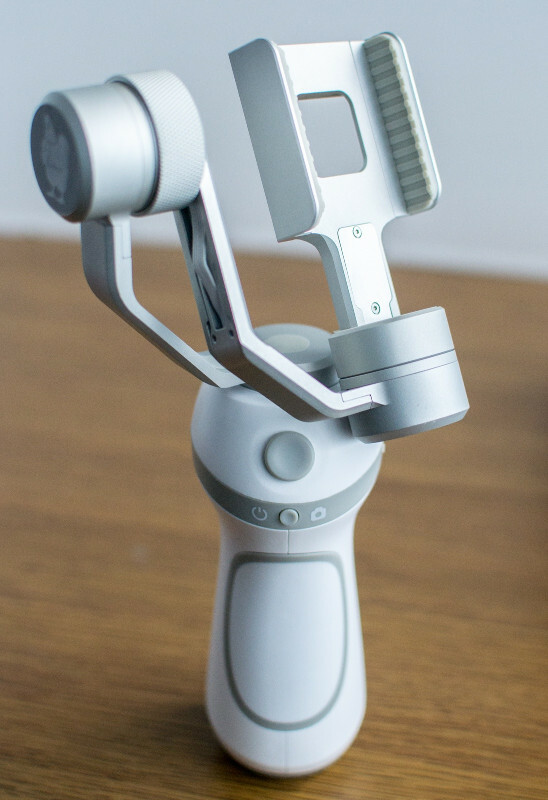 Using a cold shoe, you can even attach a microphone or a LED light to the Vimble c to enormously improve your audio and video quality. The widened base of the Vimble c allows for more stable placement on a horizontal surface. Artistic and practical. 2. Long press toggle switch and hold it: Enter Lock mode from Panning Mode or Panning and Tilting Mode,release it to quit Lock mode . 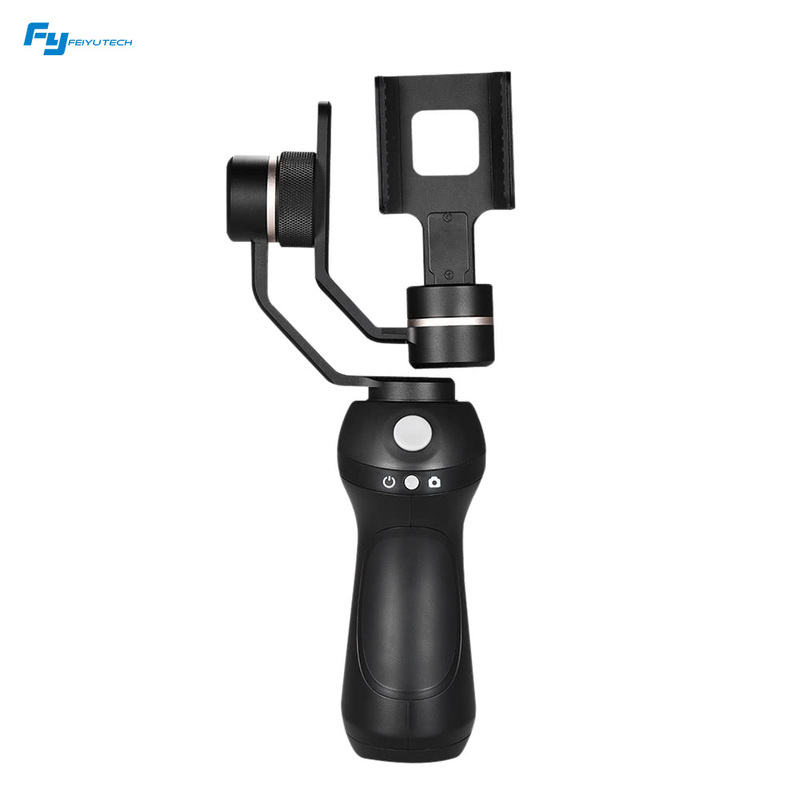 Main Functions for Users: Initialize the gimbal, upgrade the firmware by your PC or Mac , work with Feiyu On to face tracking, timelapes, panorama, upgrade the firmware ,set up the parameters of motors and speed etc. How to Balance It: Loose the knob ring, move the cross arm to the position that keeps the balance, then tighten the knob ring. 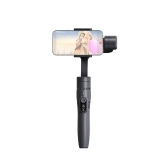 Smartphone, camera and power bank are not included. 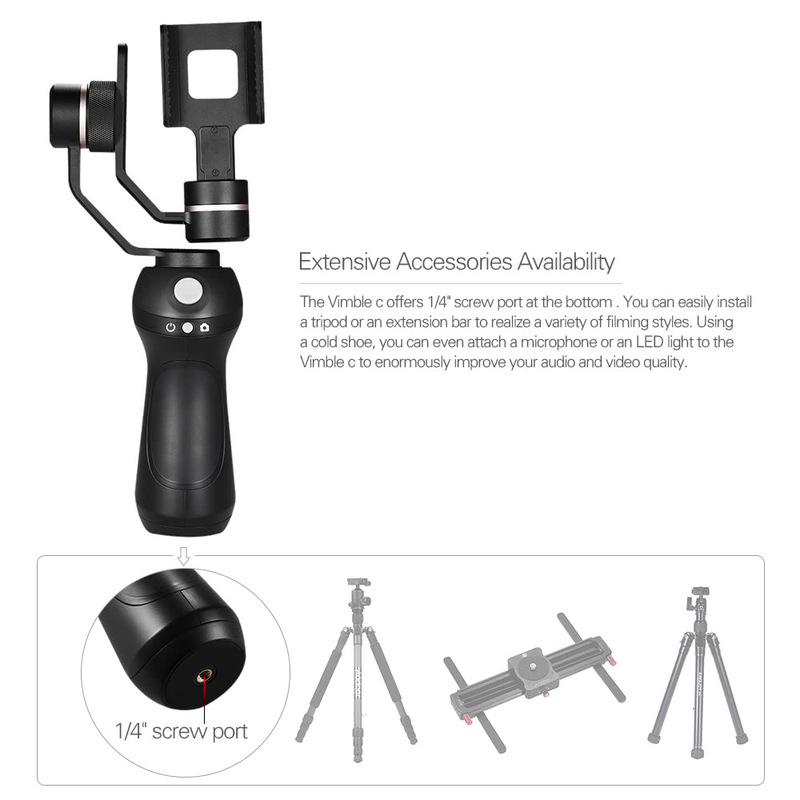 I bought one of these and was very pleased.It is a perfect gimble for what I want and its functions arrive to me perfectly.The price / quality ratio is good and is not far behind others, more expensive.As for the buying process on TomTop, it was very good.I recommend Tomtop and this Vimble. Came four weeks. everything is fine!!! Good! Very well! Very fast delivery! Package well packaged... received after 3 weeks of purchase. it seems BE EVERYTHING in order .... it will leave comments then on operation. 35 days. do not wrinkle. it works. all is well. Product condition is good. 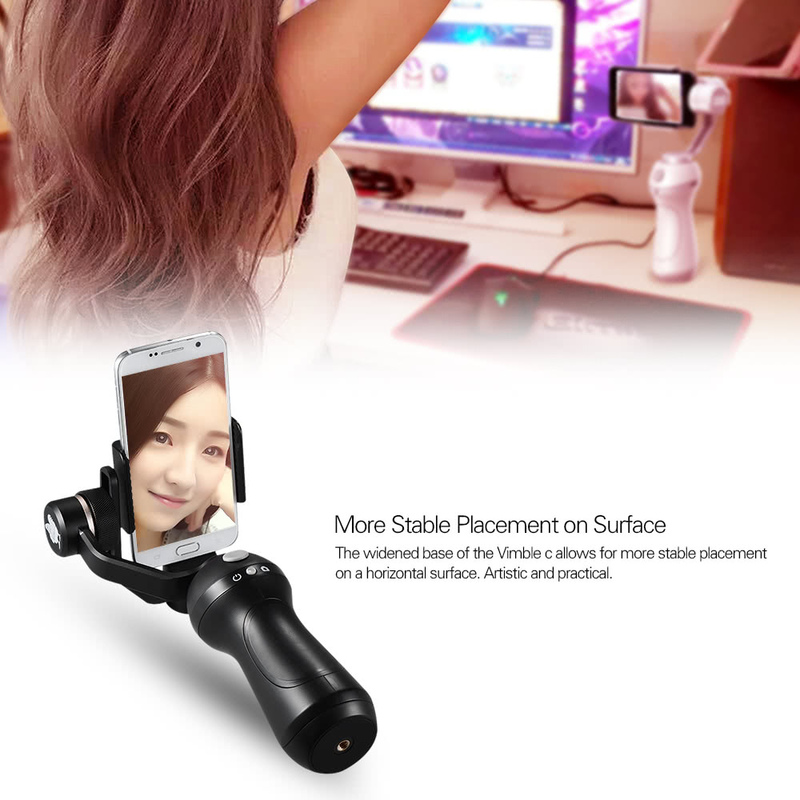 Product is as described and work perfectly. Excellent product quality and I'm very satisfied. Excellent product quality and reasonable price! 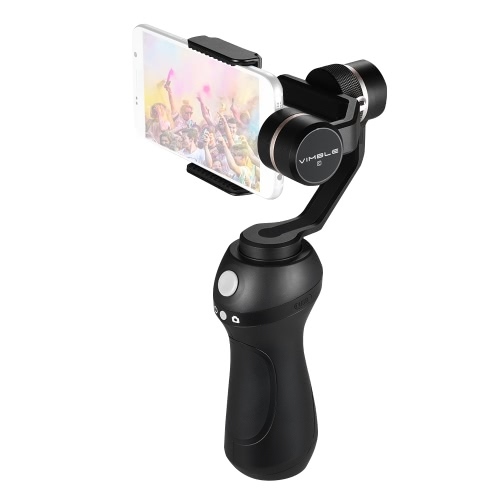 The description says it is a "smartphone" steadycam. But it is NOT. 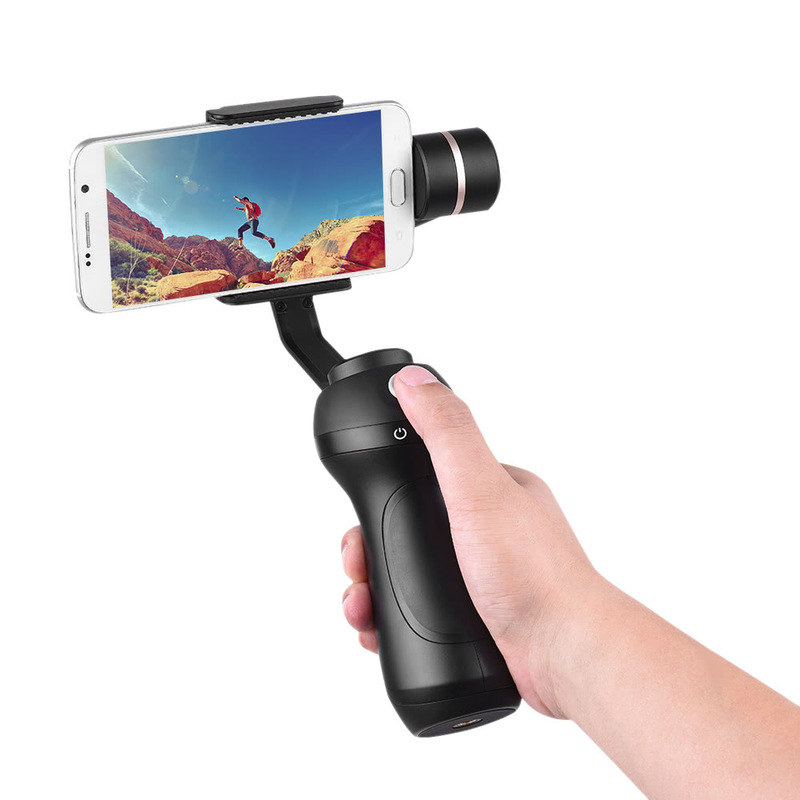 It can't hold iphone 7 plus, Samsung Galaxy S8+, they are too heavy, the staedycam just cant raise them in the proper position. 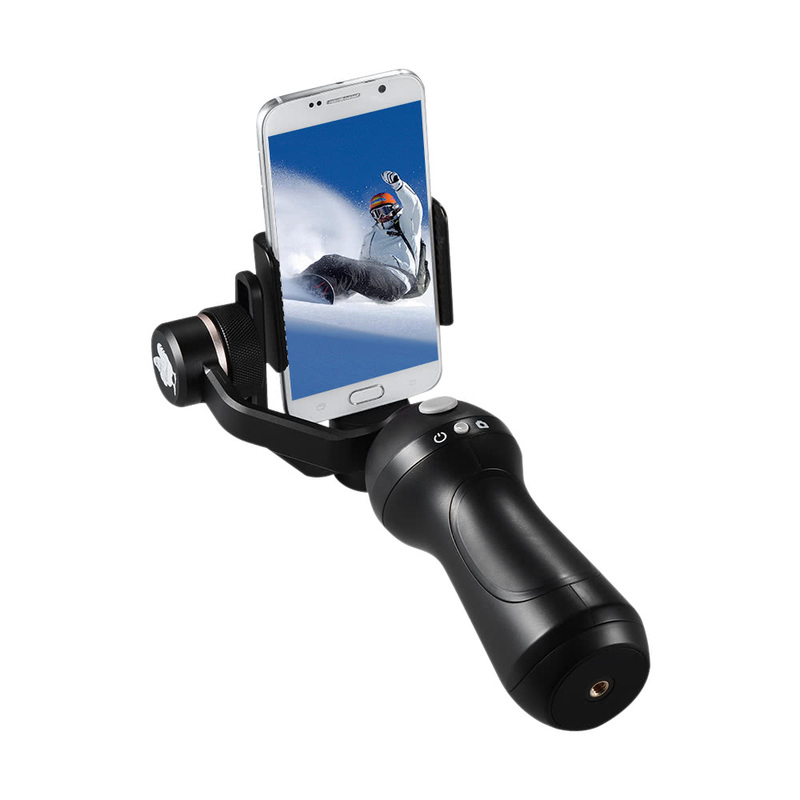 It works good with Gopro 5, and maybe can hold light smartphones. The work of drives in steadycam is very loud, in case you make video with sound, you will hear "trrrr trrrr" of the drives all the time. The only plus is the price. 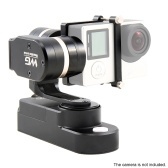 If you want to test - you may buy it and see do you really need the staedycam or not. 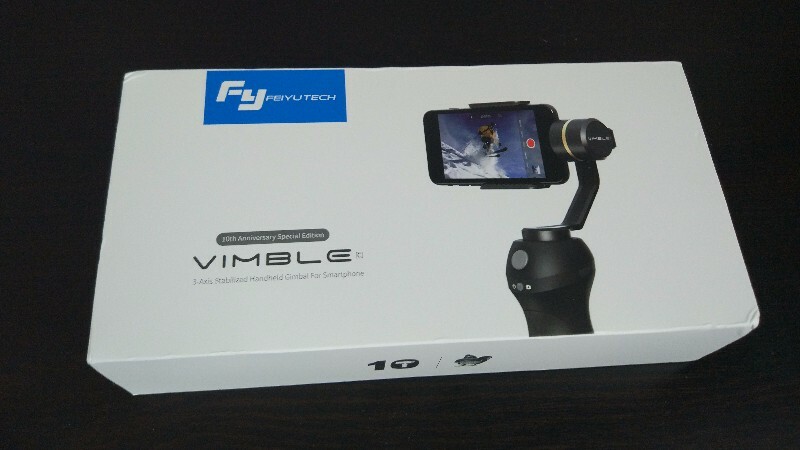 Vimble C it´s a GREAT all pourpose gimbal, as it´s works with mobile so big as "Motorola G4 Plus" and thanks to his "claps" you can also install all kind of Cameras. 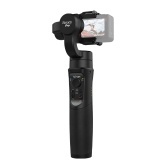 Even GoPro "Hero+", a GoPro camera that comes with attached waterproof case!!! 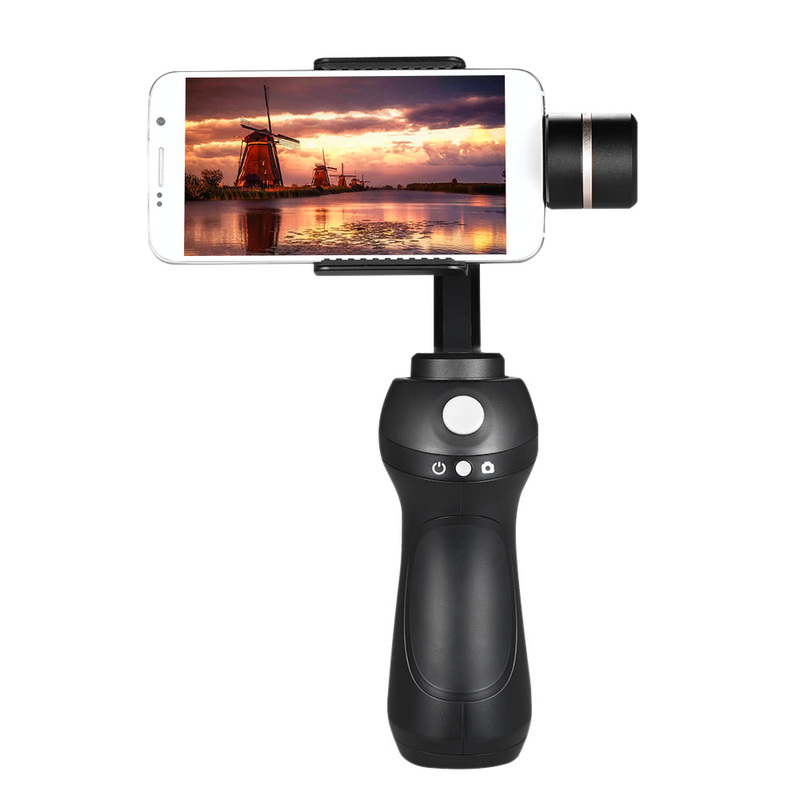 Gimball reacts well, very easy set up, Androip and iOS app thanks works perfect and good . 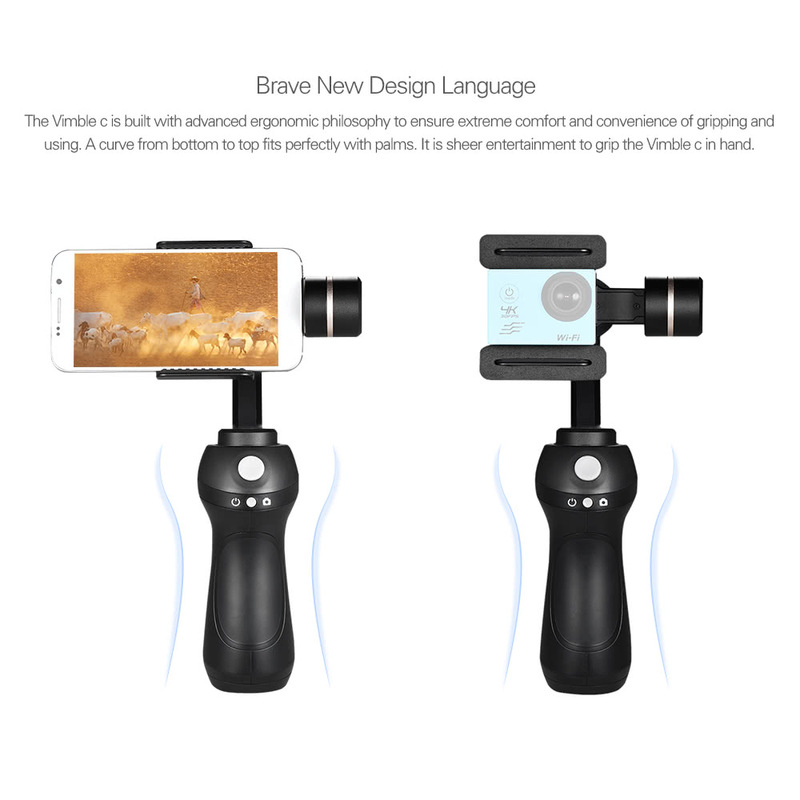 It works good with Gopro 5, and maybe can hold light smartphones. 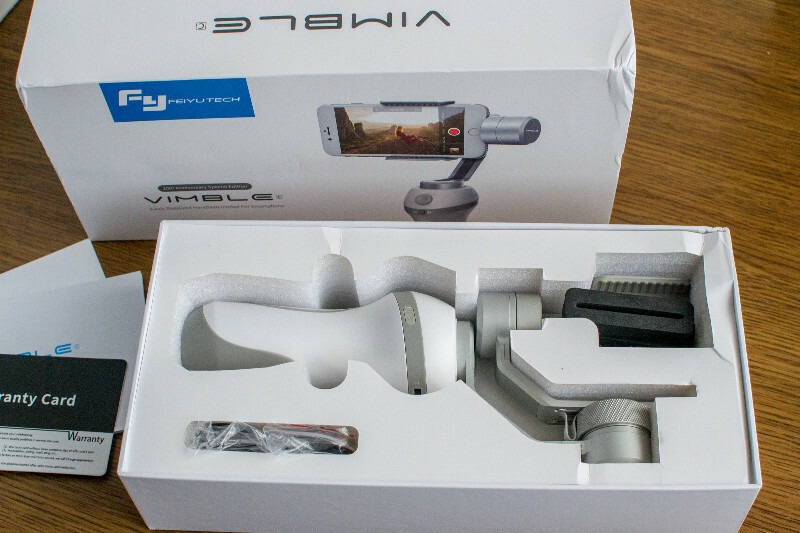 Thx, I got it today.It's light.everything is ok.Stabilize the camera and take nice pictures.